Welcome to Make & Mend! 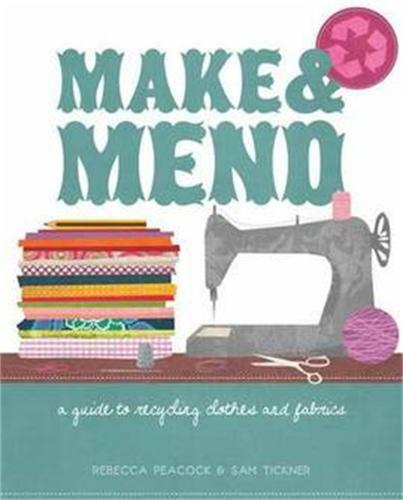 This book shows how, with a little knowledge and a little creativity, you can make a wide range of fantastic items from those old clothes and fabrics you can't bear to throw away. Whether it's a cushion cover from a coat, a tote bag from a torn dress or a neck tie from a negligee, this book will show you how to make it. A bit of know-how and a few ideas, and you can create gorgeous items with a completely personal stamp. Packed full of projects, from aprons to curtains, bags to jewellery, we show you how to turn a bag of scraps into wearable, beautiful and personalised items. Each project offers a step-by-step guide to making successful pieces, as well as a wealth of information and encouragement to be as creative as possible and push your skills in a direction you might never have thought of. Included is a list of basic equipment, illustrations, tips and advice as well as a thorough grounding in the basics of hand and machine sewing, and a fully stocked resources section. Each project is designed and illustrated to be as fun, interesting and as beautiful as possible. And the best bit is...you made it yourself!